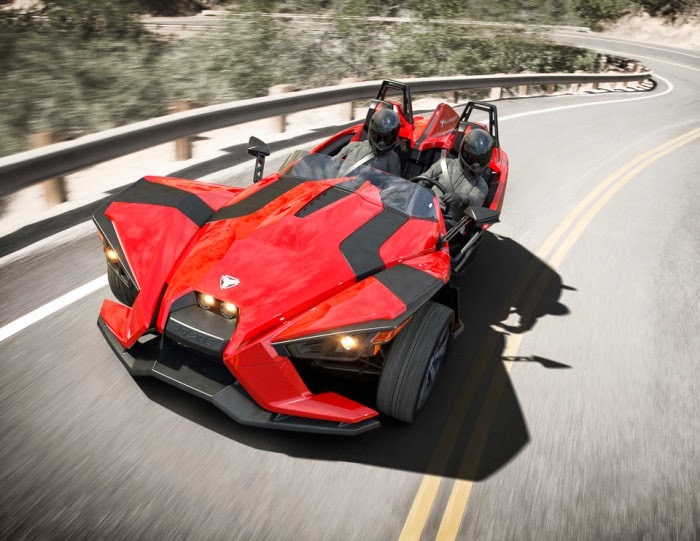 Polaris introduced 26 new vehicles in 2013 and is on a path to rack up more than $4 billion in sales for 2014. Clearly, the Minnesota-based company is in a position to experiment and have some fun. 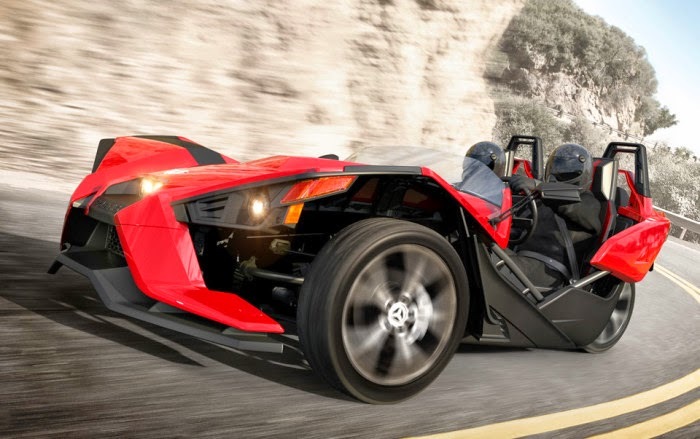 Beneath the polymer body panels is a space-frame chassis made of tubular high-strength steel. 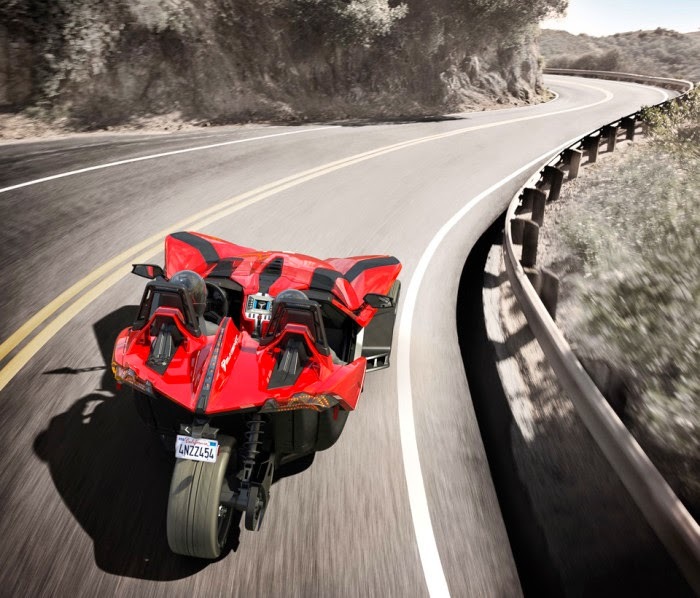 In back, a large, single-sided cast aluminum swingarm is controlled by a massive coil-over Sachs damper. In front (where the track is a substantial 69.1 inches—some 6 in. wider than a C7 Corvette’s), forged unequal-length aluminum A-arms team with coil-over Sachs shocks and a huge anti-roll bar that is employed to keep the single rear wheel as flat as possible on the pavement. Polaris dials in a healthy amount of negative camber, 2.0 degrees, to make sure the Slingshot goes where it’s pointed. 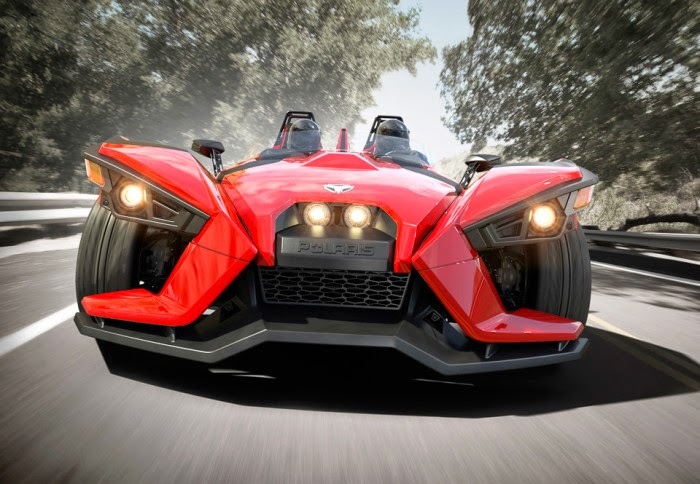 The base $19,999 Slingshot wears 205/50R-17 front tires and a 265/35R-18 rear; the upmarket $23,999 SL (with a stereo and windscreen, among other items), has a 255/35R-20 rear and 225/45R-18 fronts.